May I introduce my Romanian grandmother. 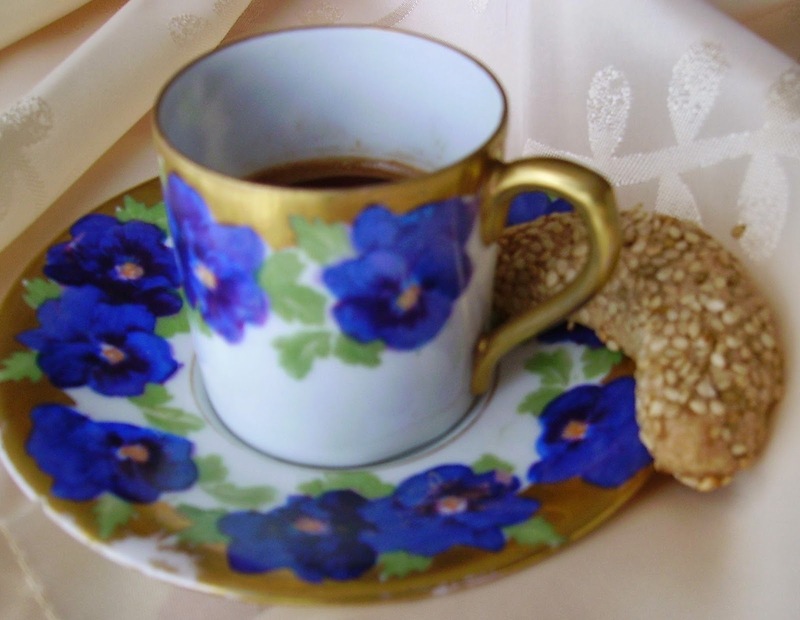 And this is her demitasse cup for Turkish Mokka. 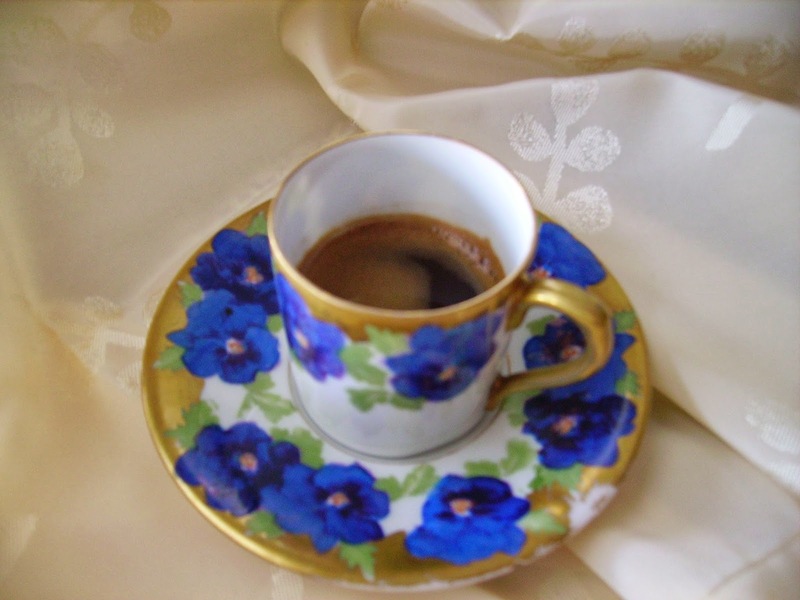 I never met her, because she passed away when I was 2 years old, and there are only two material things she left me: this Mokka demitasse cup, and another, bigger cup which will make appearance at another occasion. What she really left me, are a lot of genes, which make me love drinking Turkish Mokka and eating Mediterranean and Romanian dishes. 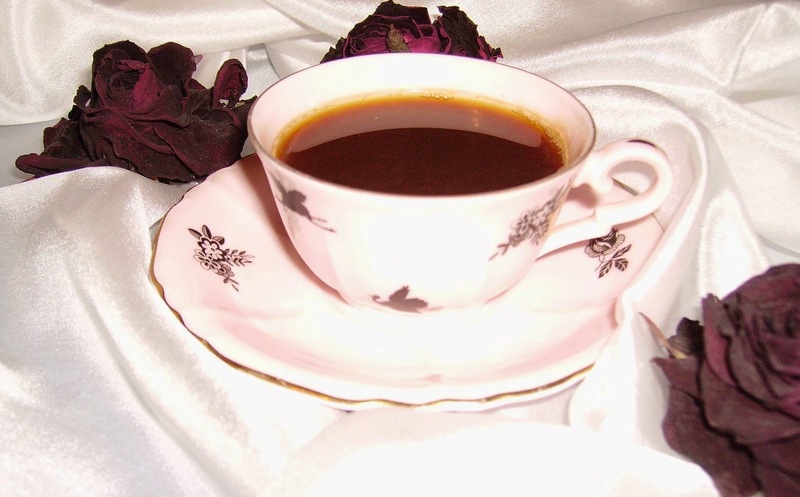 If you visit someone in Romania, you'll be greeted with a cup of Mokka and some dulceaţă, which means "something sweet". My dad told me this used to be either sesame halva or just a teaspoon of jam. 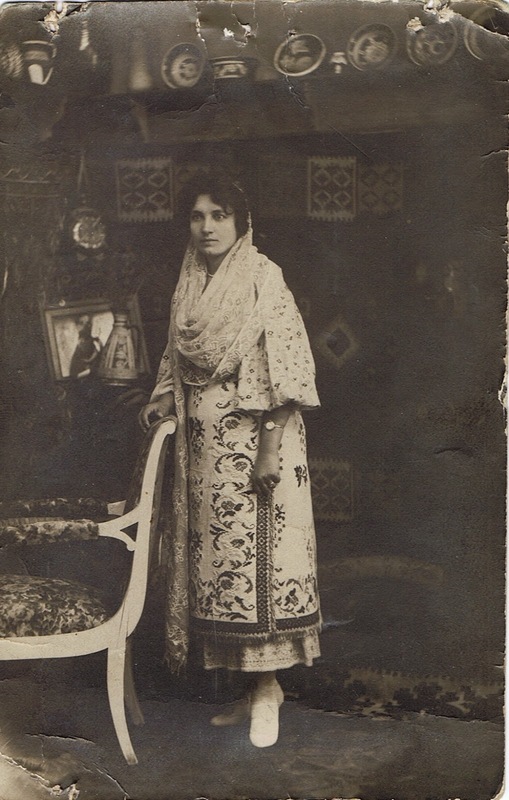 My dad's memories were of the first half of the 20th century; when I stayed with an old lady in Bucarest in 1993, though, she still served her visitors Mokka with a teaspoon full of jam on the side. I have no idea if this tradition lives on with the young people, but I still love the memory, and I still enjoy making Turkish Mokka the way my dad taught me to do it. Normally, it is made in a small pot called "ibric". You can get it in oriental stores, and at least mine was much less expensive than my DH's sophisticated espresso machine. My parents didn't own such a thing, back in the 1970s and 1980s, and they just used a small sauce pan. 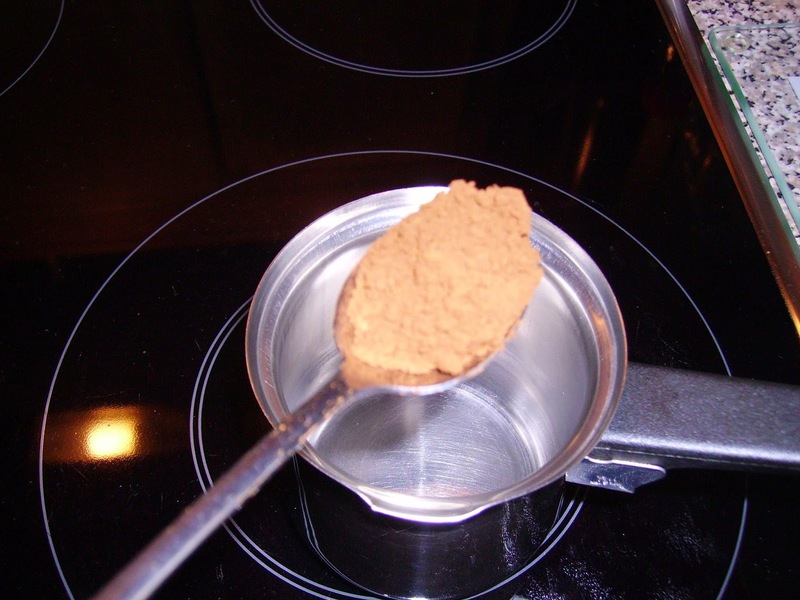 Turkish coffee is a method of brewing, not a kind of coffee, as you will read in wikipedia. I won't repeat these excellent instructions - you can follow them step by step to get your own fantastic Turkish coffee. 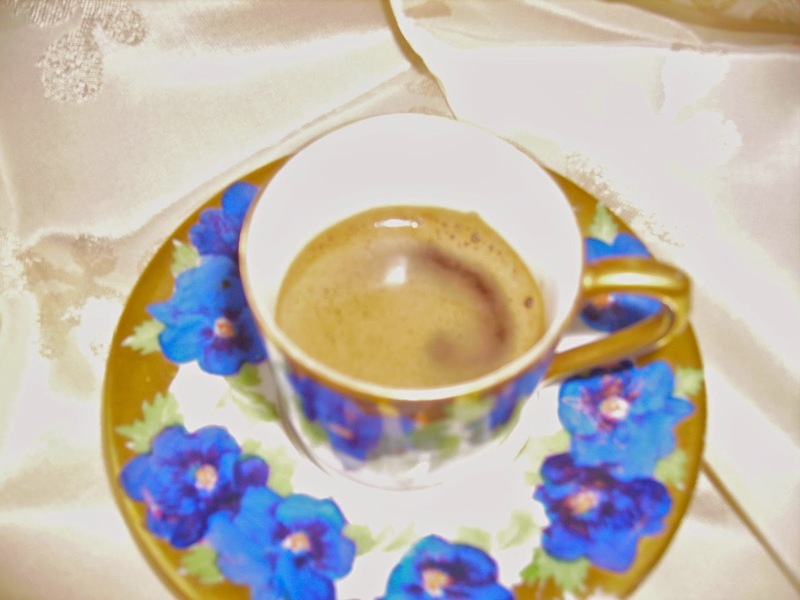 I have been making Turkish coffee for many, many years now, but funnily, when I wanted to make the shots for this post, either my coffee or the photo didn't turn out as well as I intended. So, instead of wasting more time with brewing, shooting, brewing, shooting, I'll go ahead and serve you a cup with some awesome almond crescent cookies which I made gluten free (see my review of the recipe). Meanwhile, I also make them with erythritol instead of sugar. 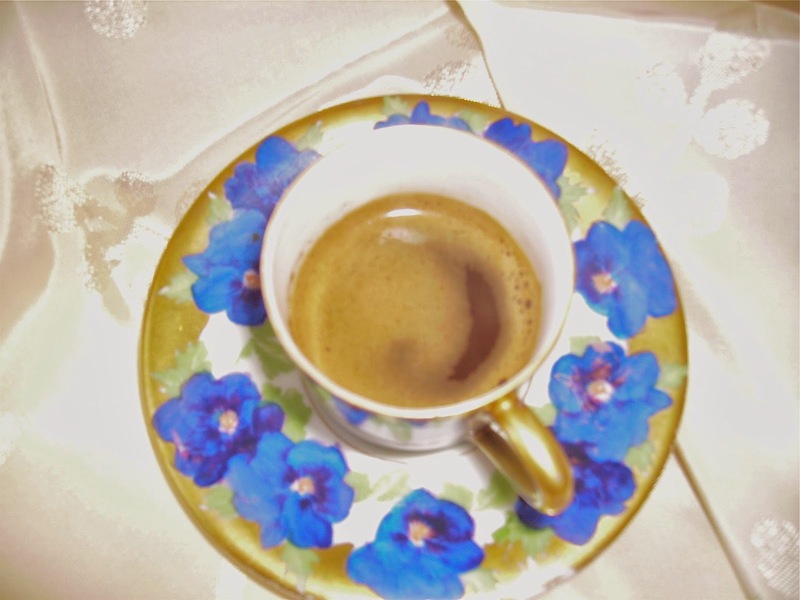 Oh, and did I mention that you can have sweet Turkish coffee without sugar? I make mine with xylitol, and it tastes just as good as with plain old white sugar!